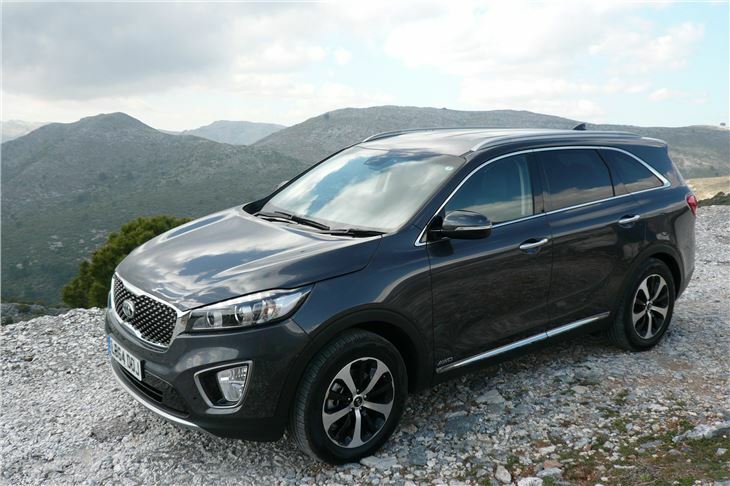 KIA changes its models faster than other manufacturers do facelifts and the new 2015 Sorento replaces the 2010 model that had itself been extensively updated for 2013. 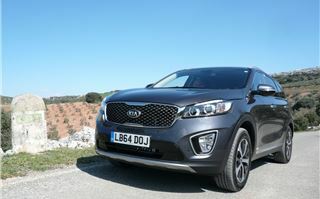 The new Sorento is longer, wider, lower and heavier. 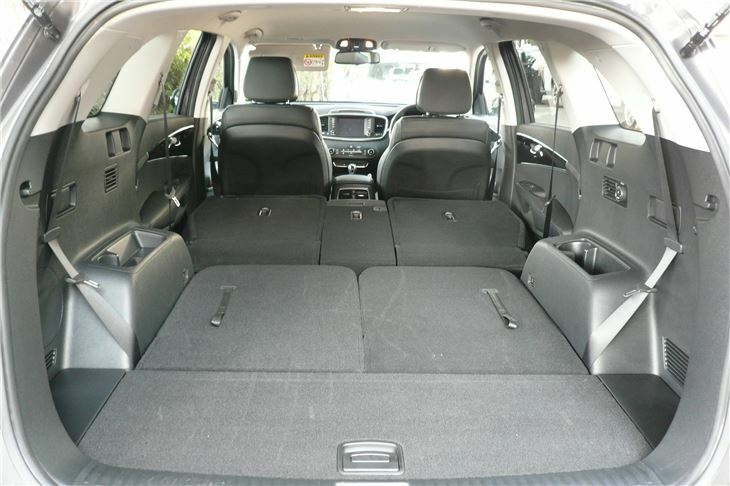 It offers more passenger room and more luggage space. 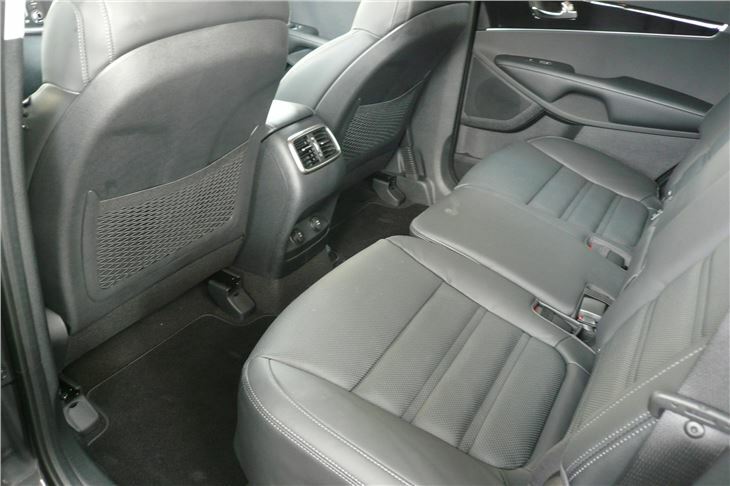 The turning circle is a few millimetres greater, yet the steering has less turn lock to lock. The R-Type diesel engine is a few PS more powerful and now EU6, achieved with a lean NOx trap to reduce nitrogen emissions. CO2 emissions are slightly lower with the base model manual slipping just under 150g/km for tax purposes. 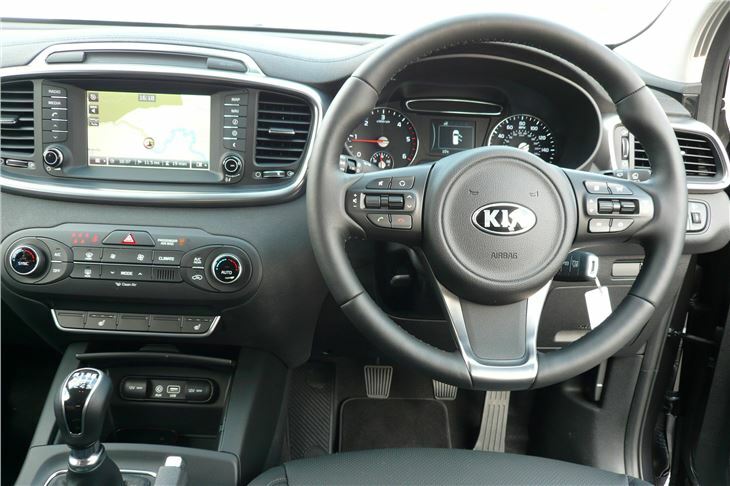 Prices are £2,000 to £3,100 higher, but satnav with a 7” screen is now standard on the KX-2. (Previously the KX-2 Nav had only a 4.3” screen.) 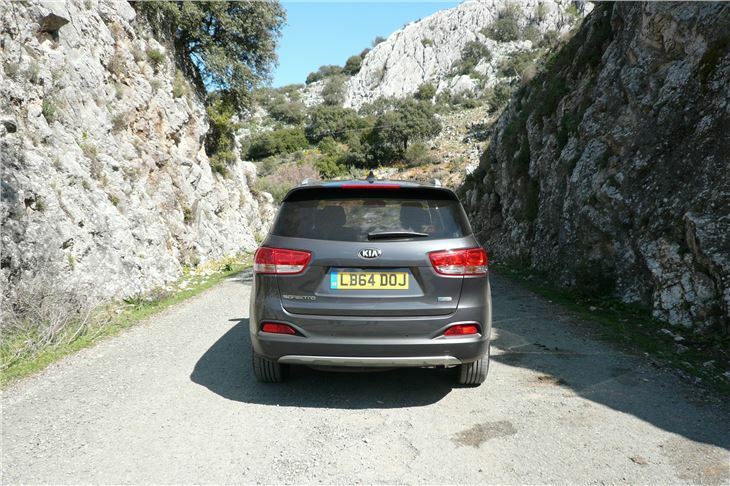 And there is a new top KX-4 model that at £40,995 has the latest electronic gizmos such as 360 degree monitoring and a rear cross traffic alert. 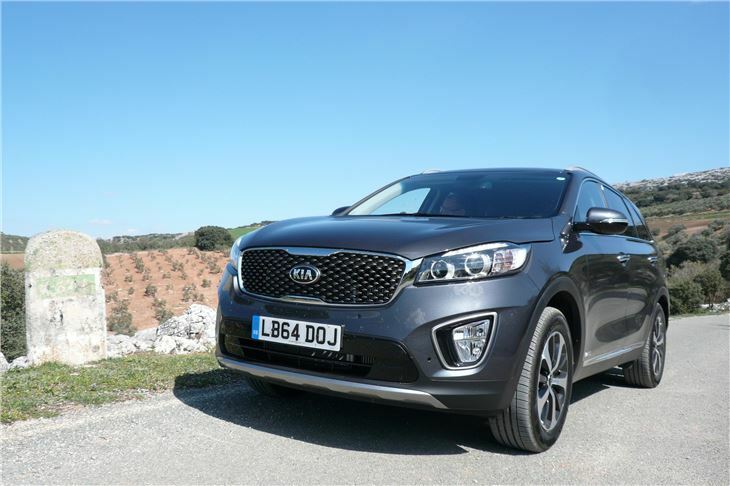 Even though 2015 Sorento prices are up to £11,000 higher than they were in 2010, spec for spec you still get more from KIA than from Audi, BMW, LandRover, Mercedes or Volvo. You also get a full sized alloy spare wheel. And, of course, a 7-year, 100,000-mile warranty. 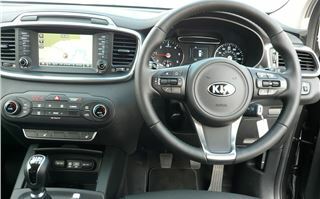 We drove a KX-2 manual that, with its new, bigger satnav screen, is the most sensible buy at £31,995, a mere £2,000 more than the previous model KX-2 Nav. It has everything you really need and, with a towing weight of 2,500kg is the ideal caravan tug. 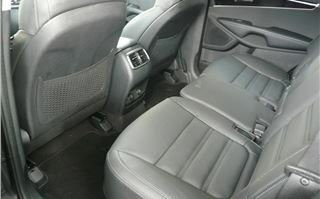 It’s also a genuine 7-seater with plenty of legroom for average sized adults to sit behind each other in 3 rows. 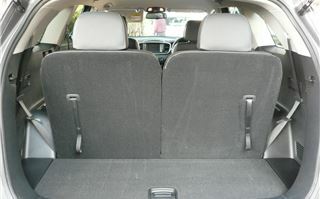 The rearmost seats fold up and down with minimum fuss and the head restraints unfold automatically. 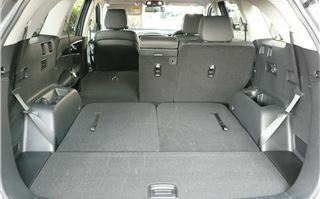 With the rearmost seats down, the centre row can be dropped 60/40 by ‘Karakuri’-like levers, leaving a substantial 2 metre (6’ 6”) long, 1 metre wide loadspace that widens out above the rear wheelarches to 1.35 metres. 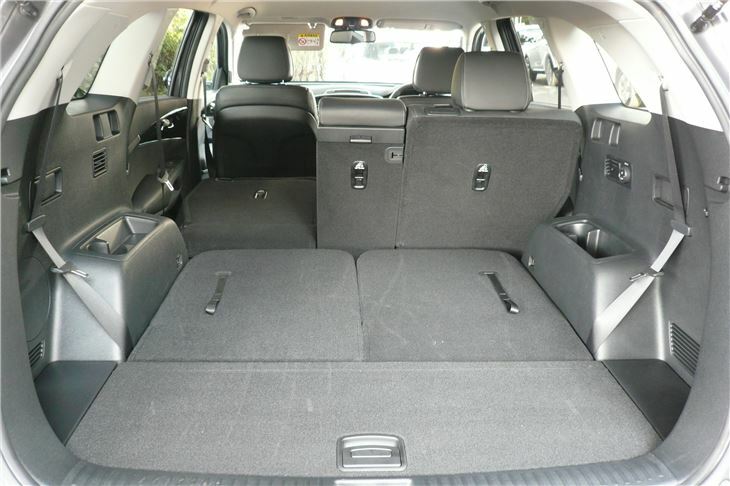 There’s more room inside than in 7-seater MPVs like the Ford S-Max. To drive, it’s light, pleasant and reasonably powerful. 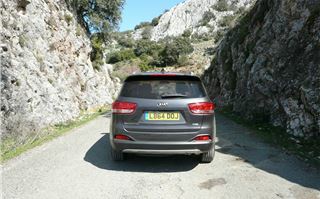 Gearing is a not too high 35mph per 1,000rpm in 6th that should be ideal for hauling caravans. You can weight up the steering with a ‘Sport’ setting if you want to (we didn’t) and it tells you when understeer finally sets in. Cornering grip is fine, well above average for a vehicle of this type. It’s quiet. And it’s blessed with a proper, lever type handbrake. Every door has a bottle holder and there are two behind the gearlever where bottles get in the way. 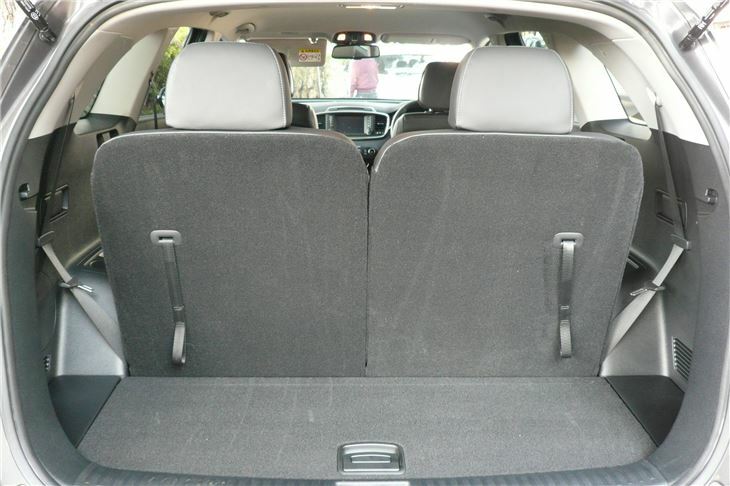 But the cubby between the seats is impressively deep enough to take six standard half-litre bottles. 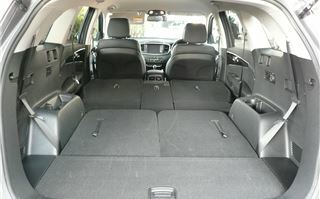 KIA’s generosity extends to two power points and a USB socket in the front of the console and the same behind for centre rear passengers. So no worries about keeping everyone happy with their ‘hand held electronic devices’. 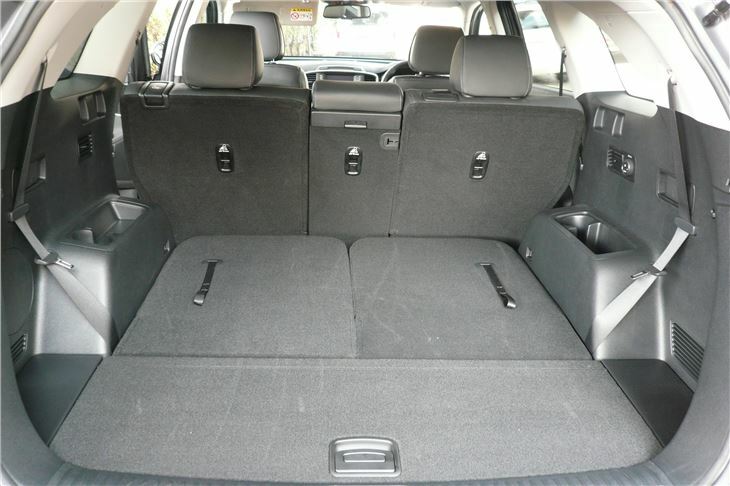 The rearmost seats (or the loadspace for your dog) even has its own separate a/c control. Another thoughtful touch is door seals that prevent the entry sills getting muddy. 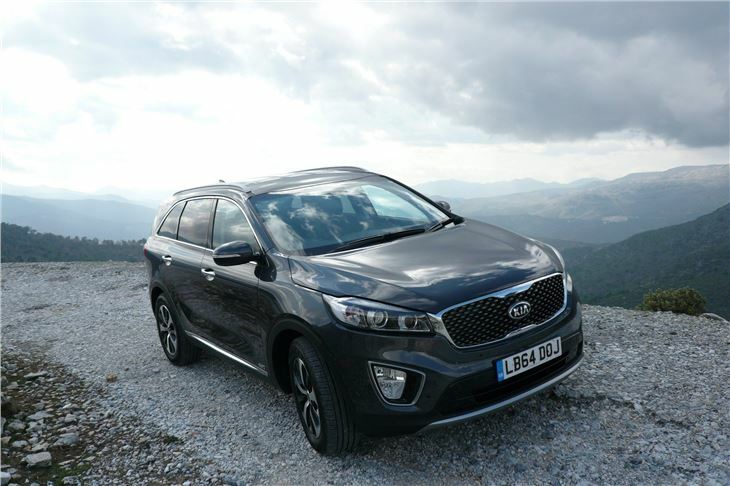 The Sorento KX-3, which we also drove, takes things a stage or two further by adding an electric opening panoramic glass roof, bigger 8” satnav touchscreen, an 8-way electrically adjustable driver’s seat and other luxuries that hike the price by £3,850 to £35,845. 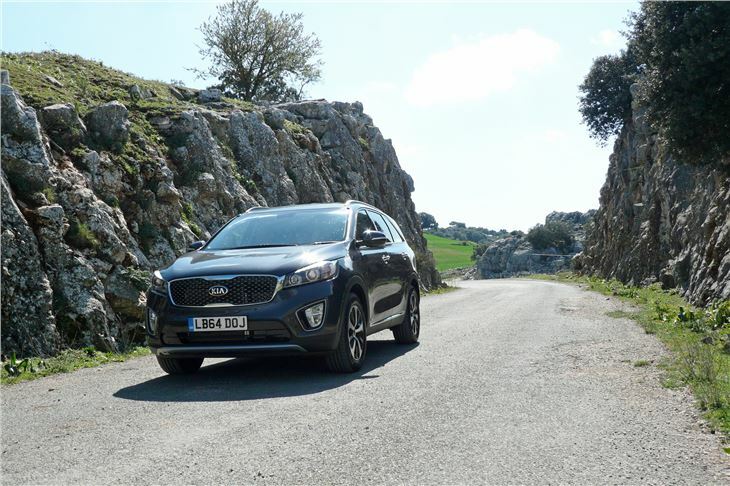 A 6-speed automatic transmission will cost you an extra £1,750 on the KX-2 or KX-3. 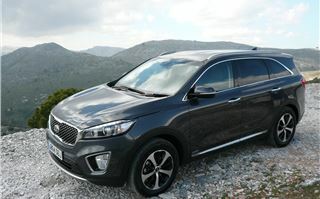 And, if you really want to go to town in your 4x4, £40,995 buys you the automatic-only Sorento KX-4 that comes with all the goodies of the KX-3, plus an electric power adjustable passenger seat and lots of electronic driver aids such as adaptive smart cruise control, 360 degree ‘around view’ monitor, smart park assist system, blind-spot detection and rear cross traffic alert to prevent ‘incidents’ when reversing out of parking spaces at Waitrose. 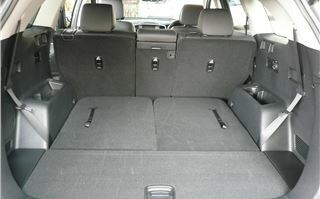 The kind of stuff that hikes the price of an Audi Q7, BMW X5, Range Rover or Mercedes GL well beyond the £80,000 mark. 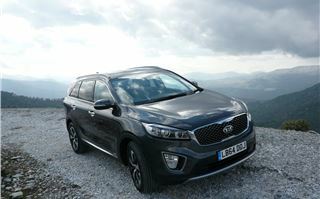 Ten years ago KIA couldn’t have asked the then equivalent of £41,000 for anything. 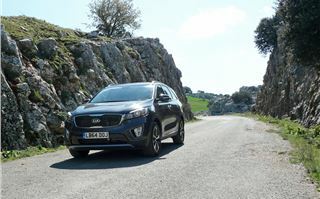 But it can now, and if I was one of the European manufacturers asking higher base prices and a whole lot more for extras to make them as well equipped as the 2015 KIA Sorentos, I’d be getting very worried. The rich don’t stay rich by wasting money.